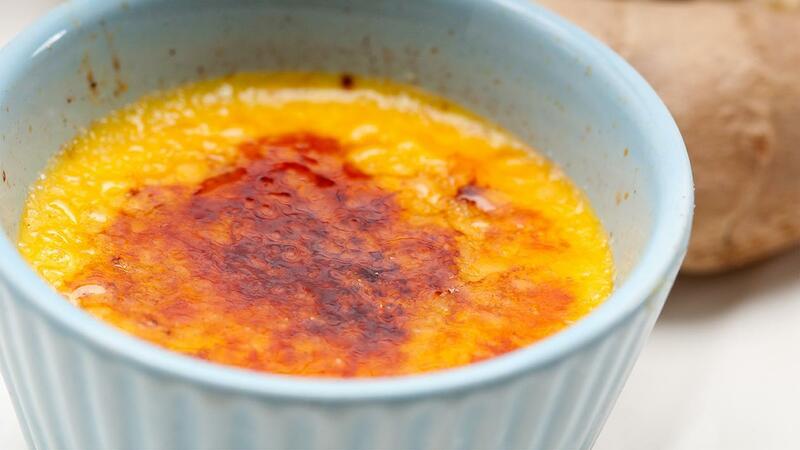 Making a Crème Brûlée can be tricky, but when done right - with interesting flavours guest will love them. We tried the obvious favourite: Masala Chai! See the full recipe below. Heat cream and milk slowly and don’t boil, but only simmer. Brew the Lipton Yellow Label Tea Bags in simmering cream. Add spices and brew for 5 minutes. In a mixing bowl cream the sugar and eggs until sugar is dissolved and mixture is turned light yellow. Temper the chai cream mixture into the egg sugar mixture. Place ramekins in water bath & bake in oven for 30 minutes at 160°C. Set Crème Brûlée in the fridge for 12 hours. When ready to serve sprinkle with caster sugar and Brûlée the top.